QIPCO British Champions Day heroine gets green light to run in America. Magical has been given the green light to contest the Breeders’ Cup Turf following her QIPCO British Champions Day heroics. The Aidan O’Brien-trained filly was able to sign off in Europe for the season on the best possible terms after an injury-truncated campaign. A solid run in the Prix de l’Arc de Triomphe preceded her victory in the QIPCO British Champions Fillies & Mares Stakes, and she is about to take on the boys once more. 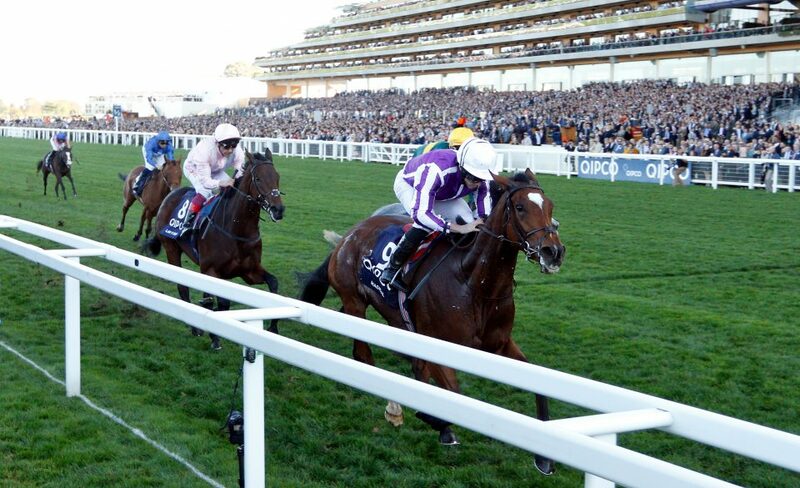 “We are thinking she might go to the Turf with Hunting Horn,” said O’Brien. “She is in good form since Ascot. She showed at Ascot she gets a mile and a half, but she has not done much since. “Wayne (Lordan) rode her in the Arc and he was delighted with her, because that was her first time over a mile and a half. “She is a filly that has had an easy enough season, because she has had a few little setbacks. Another of O’Brien’s who ran well at Ascot was I Can Fly, who claimed second behind Roaring Lion in the QIPCO-sponsored Queen Elizabeth II Stakes and so appeared to book her ticket for the Mile – along with Happily.